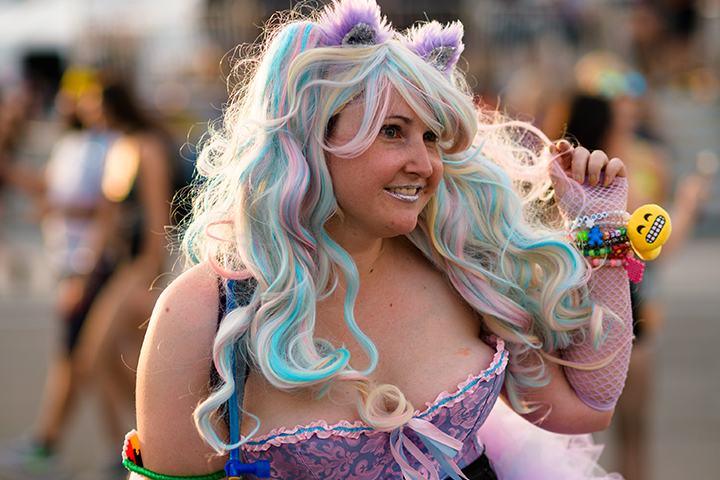 The last day of a festival is always a roller coaster of emotion. You’re sad because it’s almost over, but there’s an unshakeable feeling of accomplishment from having experienced something with one of the greatest communities ever. 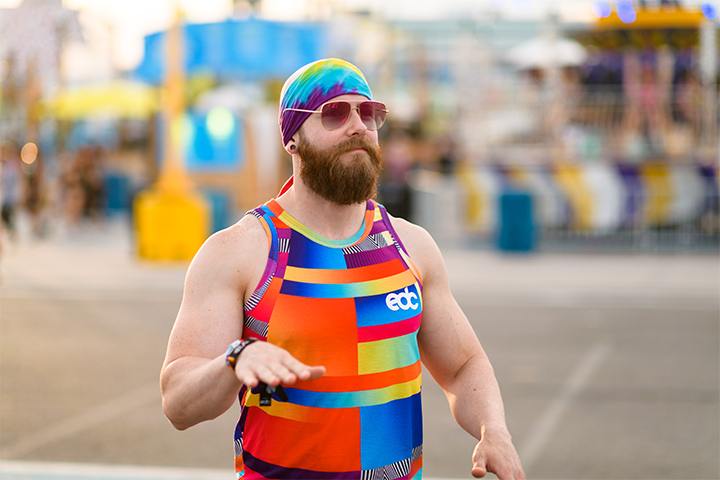 We were feeling some type of way on the third day of EDC Las Vegas, but this bittersweet moment was made better by all the high-spirited Headliners we ran into. 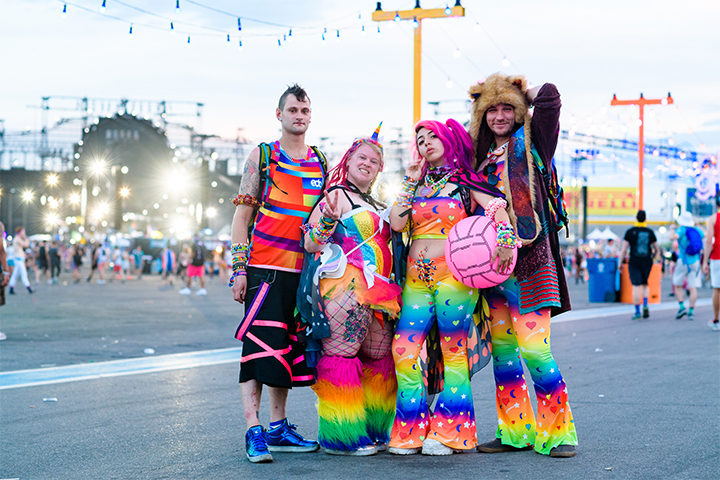 As the sendoff to this year’s EDC, we posted up on Daisy Lane and hung out with some of the people who showed up in style. That’s your cue to meet a few of them below. How do you like to recover from EDC? Sleep. I definitely get rest and do lots and lots of stretching. Who would you like to bring with you next year? I would love to bring my best friend Mary Anne with me. 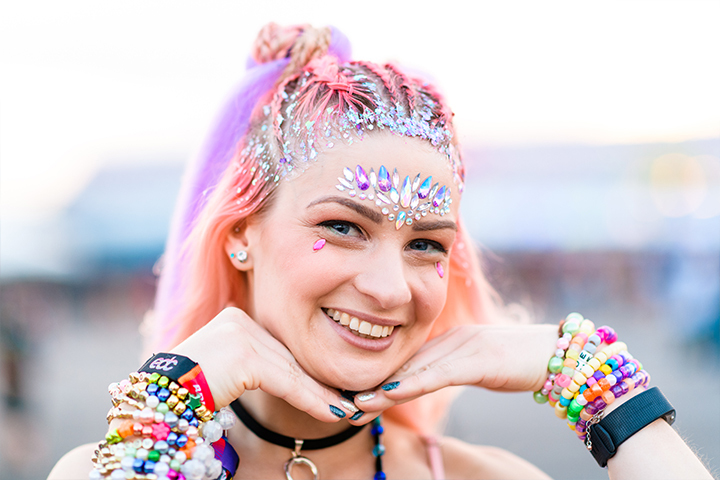 She is the person I’ve gone to EDC Orlando with a few times, and I think this would blow her mind. 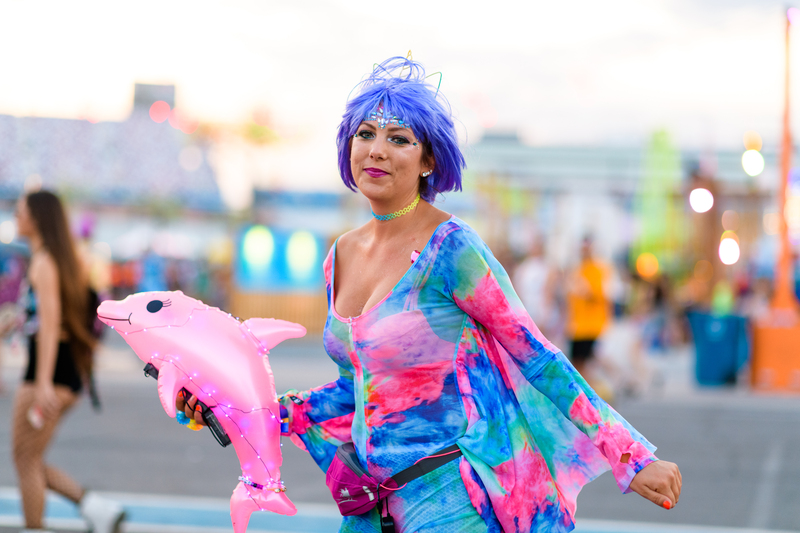 What has been the main takeaway from your experience this weekend? 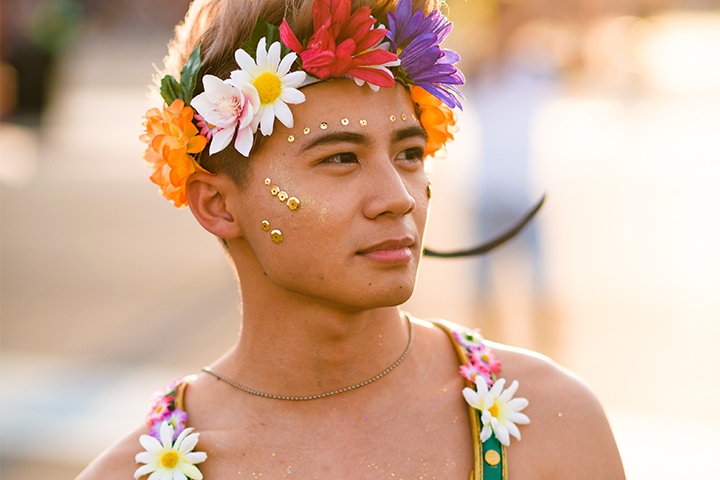 The overall atmosphere has been coming back from previous years, of love and inclusiveness. I enjoy being around happy people, and I really feel like this is a place where people can be self-expressed. Kaylee: The best way to beat any type of soreness is to do a bit of yoga, especially when you’re in line, waiting to leave. It does get rid of that tenseness. May: Stretching a lot through the whole process helps. May: My friends Sean and David. I usually go to a lot of raves with them back home. They would love this. Kaylee: My mom. She followed the Grateful Dead, so music runs in my blood. I feel like she would just have such an amazing experience here. Kaylee: I realized Pasquale makes every single thing here into art. It really inspired me to do that more in my own life. May: A lot of makeup ideas and jewel placements that I’ve seen the girls wearing. Number of EDCs: Eight in a row. My little brother! He needs to experience this. The universe really worked for us to get here this time. It’s a miracle that we’re here. Number of EDCs: Three, but I was at EDC Japan last week! I wanna find a rave bae and bring her! Hopefully, I’ll find someone special tonight. All the friends I’ve made. Number of EDCs: First EDC! There’s nothing like this. Cry and look at pictures! Our crew and the people we came with. I honestly wouldn’t want to be with anyone else. They’re amazing. We always go get REAL food on Monday. Usually just surround yourself with people you love, because it is kind of sad coming back to reality. But if you just hold on to your memories and reconnect with people you’ve spent the weekend with, it helps—AND you look forward to next year. My boyfriend is here, my best friend is here, so it’s pretty good. We got a rage fam. A lot of my friends are into hardstyle and dubstep, but I’m a trance girl. This year was actually eye-opening. I found myself getting down. I didn’t expect it, but it was good. Water is the way to go. Lot and lots of water. Chug an Emergen-C, and sleep for 12 hours. My hairstylist is also one of my good friends. She struggles hard every day but never has enough money for anything. I would bring her here. It’s now getting to the point for me where it’s nostalgic to come. I’m starting to get music from when I first started getting into EDM—hearing those throwbacks. It’s starting to recycle, and it’s very sweet. Vitamins, stay hydrated, sleep, healthy food, cream for your feet. Ballpark: I’d bring Minnie! This is our two-year anniversary today! Minnie: My boyfriend Ballpark, and my best friend in Italy. Mark: Our entire rave crew back in Australia.